Voting opens Thursday 19th May. By introducing and using PERC (passivated emitter rear cell technology cell manufacturers are able to significantly increase their average output cell conversion efficiency while lowering cost per watt. The PERC solar cell technology increases conversion efficiency by adding a dielectric passivation layer at the rear side of the cell. The key in PERC structure is the dielectric layer introduced which reduces electron recombination improving cells’ ability to capture light at longer wavelengths. This requires paste manufactures in paste design to maximize the protection of this dielectric layer from damage during the metallization step. For the formation of the rear contact of PERC cells Heraeus has developed the SOL326 series a novel silver back-side tabbing paste for mono- and multicrystalline solar cell wafers. The SOL326 helps PERC to realize its higher efficiency and longer term reliability. SOL326 contains new glass chemistry imparting controlled reaction between Ag paste and the dielectric layer to maintain the passivation layer under the metallized area whilst at the same time showing improved cell efficiencies of 20 percent excellent solderability and higher aged adhesion. The G401W EVA, part of a new G Series range is designed specifically for double glass PV modules with the aim of eliminating a series of issues encountered with conventional EVA materials in the lamination process. HIUV New Materials uses Electron Beam technology to crosslink plastic materials to improve product performance. Polymers chains are cross-linked in the same way it is formed in a common laminator at high temperatures, with the difference that polymer bonds are controlled before the material utilization in a so called ‘pre-crosslinking’ stage. The specially tuned EVA is therefore ready to be used by the module maker in order to laminate white double glass panels free of defects, according to the company. The mechanical characteristics of the G401W EVA have been specifically designed to solve glass bending effect happening in the laminator, so that there will be no bubbles formation on the edges or unfilled spaces due to EVA leaking. The high reflection rate of G401W EVA material is intended to provide a substantial increase in the overall power performance of PV modules with a typical gain against a conventional PV panel with a single backsheet of around 3 W. The simplified processing procedure for double glass lamination also eliminates the need to prolong lamination time and increased productivity. Designed to meet the demanding requirements of the printed electronics industry, PVN’s Sicrys™ family of conductive inks for digital inkjet printing is based on innovative technology that enables narrower conductive patterns and minimum waste results. Sicrys’™ unique combination of advantages ensures optimal performance while reducing manufacturing costs of printed electronics while being environmental friendly. Sicrys™ conductive inks are based on technology that generates savings of over 10% on cost per watt for silicon cells. In the photovoltaic industry, Sicrys™ reduces operational costs, both in the short and long term, increases cell efficiency and brings their energy-generation costs closer to grid costs. Furthermore, the cost of transferring to inkjet printing from screen printing technology is relatively low. The development of the copper Sicrys™ conductive ink is a world-first copper-based nano-metric solution and a low-cost replacement for silver inks. PV Nano Cell’s unique dispersion chemistry enables all the performance advantages of PVN’s silver Sicrys™ ink, to be implemented is Sicrys™ copper inks reducing printed electronic cost. Centrotherm photovoltaics is offering a one-step PECVD aluminum axide (AlOx/SiNx) process upgrade for advanced solar cell concepts such as PERC that are applied in mono and multicrystalline cell processing. The Centrotherm direct plasma process provides superior dielectric AlOx/SiNx stacks with excellent passivation properties and is said to be the fastest and easiest way to start PERC solar cell manufacturing in a cost effective way. The Centrotherm AlOx process shows best passivation properties at thickness < 20 nm (further reduction can be expected) also on uneven surfaces and low surface recombination velocity on p-type wafer surfaces. Furthermore, these stacks are deposited in one run and in one step, by just changing the recipe. This is an advantage compared to ALD systems where only the AlOx layer is deposited and the capping layer needs to be added in another system (mainly also by PECVD). The stack is compatible with standard Al pastes and shows a high passivation quality after contact firing. Light Induced Degradation (LID), which reduces the efficiency of PERC cells by up to 6% after they are installed, has been a persistent problem for solar manufacturers. Several furnace manufacturers have introduced solutions to the problem but they all require the purchase of stand-alone equipment that takes up valuable floor space and requires additional material handling steps. Now Despatch has developed an in-line solution that integrates into its metallization firing furnace line and reduces LID to around one percent. The patent-pending in-line PowerLock™ LID Prevention technology eliminates the need for material handling and saves floor space. Despatch PowerLock™ uses LED lamps which have a 20SUN maximum intensity that achieves the desired result in just 3.6 meters. These lamps allow the dwell time to be reduced significantly which enable an in-line process that maintains furnace throughput speeds. LED lamps are energy efficient, producing twice the lumens per watt compared to the arc lamps used in other solutions. These lamps have a life expectancy of 50,000 hours which is ten times longer than arc lamps. To extend life and reduce power consumption, the lamps can switch off automatically when there is no load present. This is not possible with arc lamps that need time to reach full power. "With the largest share of firing furnaces in the market there has been a lot of anticipation for an LID solution from Despatch,” said Erik Anderson, Despatch Industries Solar Product Manager “we already have orders from several of the top-tier solar manufacturers in China and Taiwan." PowerLock can be retrofitted into existing Despatch tools and will be offered on all new Safire™ Firing Furnaces. Despatch CF-Series Firing Furnaces can also be ordered with PowerLock but Safire is recommended. Despatch has demonstrated and proven results with PowerLock on both mono and multi PERC and p-type cells. The DW288 Series 3 is the third generation of Meyer Burger's diamond wire saw. The new model cuts with ultra-thin razor-sharp diamond wire which enables minimal kerf loss. Thinnest wires are already in use for production. The use of wires down to 50 um diameter is in the testing stage. However thinner wires pose new challenges for solar suppliers. Costs can also be cut by cutting thin wafers because it enables more wafers to be obtained from each brick. Many wafers still have a thickness of around 180 µm. Diamond wire technology paves the way for much thinner wafers. Furthermore the productivity has not only been increased by the thinner wires but also by an improved wire speed of 30 m/s an enlarged load length of 650mm and dedicated high-speed processes. Reducing the wire diameter while increasing the wire speed was the biggest challenge. Ultra-thin wires can twist or break very easily particularly at high speeds. To cut thin wafers today’s standard Total Thickness Variation (TTV) of up to 30 µm would be far too high for such thin wafers it had to be significantly reduced for the DW288 Series 3. Because of the risk of wire breakages it is vital that the machine control system and cutting processes are properly coordinated. A special wire tensioning system rapidly regulates any tension fluctuations even at the highest speeds and accelerations while ultralight pulleys allow to keep fluctuations in the wire tension within narrow limits. Meyer Burger has succeeded in pushing the TTV to below 10 µm thanks to optimized geometry with narrow wire guide roller axis distance alongside specially developed cutting processes. The optimized axis distance and a special high-speed cutting process ensure that the wire is less prone to bowing which allows speeding up of the process. Tempress a subsidiary of Amtech has developed an alternative atmospheric process called ‘High Density POCl3’ (Phosphorus Diffusion). The HD system benefits from the throughput advantage of small pitch, back-to-back, and long flatzone, while using improved chemistry and hardware upgrades to provide excellent uniformity and high efficiencies. POCl3 is a simple and well known process with excellent track record in process performance. The POCl3 process controls the formation of the emitter and defines the interface with the contacts. However, the drive to higher cell conversion efficiencies places increasingly more strict process control requirements for the POCl3 process, notably emitter resistivities, lower surface concentrations, better uniformities, while cost per-watt reductions and higher throughputs are required. With the HD-POCl3 diffusion process, Tempress has focused on process innovation to increase throughput without the drawbacks (high cost/high maintenance) of complex low pressure systems. Tempress has increased the batch load of the POCl3 process to reduce the cost per-watt. The HDPOCl3 platform is said to enable emitter formation at around 35% lower cost per-watt compared to the conventional atmospheric POCl3 systems, and >10% lower cost per-watt compared to low pressure processing and produces stable high ohmic processing with up to 140 Ω/sq sheet resistance. Workswell WIRIS is revolutionary between the thermal imaging systems primarily due to its possibility of full control in real time during the fly via very standard RC controller. Remotely it is possible to view and store fully radiometric image data (images and video – i.e. records that retain all the information about the capturing parameters which can be subsequently fully processed in the supplied software. Not just a sensor but a real thermal imaging camera. HORIBA has developed a Phosphorus Oxychloride (POCl3) delivery systems that comprises HORIBA’s advanced bubblers mounted in the diffusion furnace linked to HORIBA’s automatic bulk refill system. POCl3 is delivered in 1 litre quartz vessels that typically require more than 200 exchanges in a 200MW line each year. Most quartz bubbler exchanges are performed at height where there is always a risk to the health of the technician, operators and to the process itself. In addition to these risks there is also 2 hours downtime to consider for each exchange. Poor process results and additional downtime maybe incurred if the exchange is not performed well. Each quartz bubbler vessel typically can be used down to 10 percent of POCl3 remaining before the process becomes less stable. This ‘waste’ POCl3 cannot be used and needs to be disposed of. POCl3 is delivered in 20 litre canisters reducing exchanges from 200 to just 10 tank exchanges per year. Tank exchange is much safer as the canister is constructed from ETFE lined stainless steel and the exchanges are performed at ground level. Furnace downtime is eliminated as production continues even when the bulk POCl3 tank is being exchanged. When combined to the HORIBA Advanced Bubbler, the fragile quartz bubbler vessel is replaced by a fixed robust PFA bubbler vessel where the POCl3 level is maintained to guarantee full saturation and deliver stable and repeatable sheet resistance. Financial and environmental benefits are also delivered as POCl3 waste is reduced from 10 percent to less than 2 percent. An independent report from one of the largest cell producers in the world is available on request. IBC solar process introduces new requirements to inspection. The most important is that several print/processing steps have to be well aligned on top of each other. To inspect the alignment between structures already present on the wafer and new structures just printed on top it is necessary to find a way to clearly distinguish the features from the different print steps e.g. by acquiring one image where the structures from previous print step are visible and then a second image that makes structures from current step visible. The ISRA Multiview technology already enables us to acquire images using different illumination wavelengths. We use this Multiview technology e.g. in our Advanced Rearside Inspection where we acquire a Red and a UV Image of a solar cell rearside after metallization. Because of the different relative contrasts between Al AlAg and Silicon in the two images we can clearly identify regions with Al AlAg and Silicon even though under standard illumination all surface is only gray. For IBC Solar cell inspection ISRA extended the Multiview technology and the patented LightDome illumination by developing a new illumination unit with more flexibility on lightning scenarios. The new KFP LightDome adds the possibility to switch between bright field and dark field illumination. Using bright field illumination reflecting structures are visible as bright structures whereas in dark field scattering structures are visible as bright structures and reflecting surfaces remain dark. Combined with the separate illumination wavelengths the KFP LightDome offers new flexibility to define illumination scenarios for “selective visibility” of features on the sample. As an example IBC metallization fingers exhibit a highly reflecting surface whereas isolation layers printed on top of these fingers have a scattereing surface. Using Multiview and KFP Dome the IBC Inspection Software acquires a bright field image (fingers are visible and a dark field image (isolation layers are visible and then uses these two separate images to check alignment between the two structures. Conventional screen printing of the front contacts remains among the most costly processes in solar cell manufacturing and at the same time limits the achievable finger width and emitter sheet resistance and so limits the overall cell performance. RENA's 'InCellPlate Cu' inline equipment for direct plating of a Ni/Cu/Ag stack on silicon, when combined with laser ablation of the silicon nitride layer and subsequent inline anneal, is said to provide complete front-side metallization for solar cell manufacturing. Compared with screen-printing, the technology allows cutting the cell production cost by US$0.06 (cents) and at the same time offers potential for cell efficiency improvement. Direct plating on silicon with RENA’s InCellPlate Cu makes the use of screen-print paste on the front side obsolete. It further replaces most of the silver with cheaper copper as a conductive metal, which is claimed to reduce costs per cell by US$0.06 (cents). Furthermore, the technology allows the formation of thinner fingers (≤30 μm) and contact formation to emitters with higher sheet resistance (≥120 Ohmsq. ), thus enabling higher currents and voltages while keeping the fill factor high. RENA has already successfully demonstrated the technology, reaching 20.8 percent efficiency on Cz-PERC cells (verified by ISE Cal-Lab). Modules made with this technology successfully passed more than three times the IEC61215 test procedures and the soldered strings showed outstanding adhesion properties(>1N/mm), according to the company. Acoustic Microscopy (also known as Acoustic Micro Imaging or AMI)’s outstanding benefit is its ability to find hidden defects within assemblies and materials that can occur during manufacturing or environmental testing. Defects such as delaminations, voids and cracks can be identified and analyzed more effectively using Acoustic Microscopy than with any other inspection method. Unlike other non-destructive techniques such as X-Ray and Infrared Imaging, Acoustic Microscopy is highly sensitive to the elastic properties of the materials it travels through. Because of this, the ability of Acoustic Microscopy to find and characterize these physical defects is clearly superior. Typical applications include production control, failure analysis, and product development. Sonoscan acoustic micro imaging tool (acoustic microscope) is capable of handling larger than normal samples and of scanning larger than normal x-y area. Acoustic micro imaging tools ordinarily scan small areas where one or more targets are located such as plastic-encapsulated ICs, ceramic chip capacitors, or individual solar cells. Ultrasound is pulsed into the target areas to obtain images of internal structural anomalies such as voids, cracks or non-bonds. The much larger scanning area of this tool makes it possible to access or scan the entire bus bar areas of the panel. It solves the problem of finding internal structural defects in the whole panel quickly and without destroying the panel. The most prominent early failure mode defects detected are poor interconnects and solder bond defects associated with bus bars. These frequent but subtle defects typically consist of a bus bar that is partially bonded or that has a cold solder joint that has intermittent contact with the cell interconnect, a condition that can cause an early failure and lessen the efficiency of the panel assembly line. These defects can be too subtle to be found by other methods, such as electrical testing or x-raying the panel; i.e., the amount of solder that is missing or misplaced is too small to detect electrically or with x-ray. Although the bus bar interconnects are the most frequent location for internal structural defects during assembly, the tool can also image other types of defects, such as delaminations between the layers in a panel or cracked silicon cells. The large stage area allows panels up to 1m x 3m to be imaged, When, as is often the case, the concern is only with the condition of the bus bar bonds, the transducer is programmed to scan only the bus bar area. Thin-film solar panels can be scanned from the backside of the panel after or during the assembly process, just after busing, to image the bus bar interconnects depth. Traditional glass solar panels are typically imaged during assembly after busing, since the back sheet materials applied later in the process to the panel do not transmit sufficient ultrasound. Flat roofs, where no roof penetration is possible or desired, but where roof construction and load capacities do not allow for significant ballast, require alternative aerodynamic systems and a largely ballast-free solution. Enabling optimized module orientation can also be a problem. Aerodynamically designed frames represent a sophisticated, trend-setting concept with fast installation. They can be removed without a trace, and are as stable, storm-proof and durable as ballasted or assembly systems firmly connected to the roof membrane. The LEICHTmount systems can be installed equally well facing south or east/west, providing an uncomplicated flat roof installation method. The new systems are structurally optimized and use less material with an aerodynamic design and pre-assembled aluminium coated safety membrane. The results are claimed to equal lower cost for materials and shipping, quick and easy assembly, less ballasting without penetration and a choice of orientation. Steca offers an innovative integrated RS485 communication interface the Stecalink bus. This interface allows a charge controller to act as a communication master to exchange measurements and setting information with other devices. In the Stecalink communication system the master collects all relevant data of the other controllers or electricity sensors to record them in the data logger. Optionally it can also calculate the battery‘s state of charge as a percentage (SOC. This ability to link multiple devices and their data creates a connected system which collects and records all information centrally. At the same time it achieves a high level of redundancy and gives maximum flexibility in the selection of batteries. Many charge controllers or inverters on the market are able to work as a standalone product. Even if the functions of such an existing product may be interesting and technically up to date they are limited to the single product. This implies that e.g. a sophisticated charging algorithm of a charge controller is not sufficient to optimize the battery’s lifetime if the other system components are not adapted to it or components from other manufacturers are used that are incompatible. Stecalink bus also covers the current sensor PA HS400 even non-Steca products can be included in the system communication. Also various innovative battery types can be treated optimally and easily with all components intercommunicating even in large and complex systems. The technological advancement is an optimized system management and therefore increased system lifetime and reduced system cost for the user. Guardian™ is the first building control system (BMS capable of understanding how utility rate structures work and automatically altering building energy consumption patterns to use the cheapest available energy thereby considerably reducing electricity bills without sacrificing building performance. When deployed in conjunction with other energy efficiency and renewable energy generation technologies (such as solar Guardian has the potential to push building demand below critical utility rate thresholds. In many utility territories in California for example Guardian can take a solar project from eliminating 70 percent of an electricity bill to eliminating 100 percent of the bill. It does this by helping the building avoid critical peak usage that would force the building to remain on a rate structure where demand charges remain instead allowing the building to transition to rate structures without peak charges where a solar system that eliminates 100 percent of net usage over the course of the year also eliminates 100 percent of the bill. Utility rate structures are deliberately very complicated and tend to penalize buildings for operating in a normal way. Guardian reverses this paradigm by aligning building usage with rate plans thereby saving building owners and operators’ considerable amounts of money. It also has all the benefits associated with conventional building management systems such as healthier more comfortable and more productive buildings. Guardian uses evolutionary algorithms to simultaneously explore a multitude of different strategies for reducing and distributing building energy usage. Once it identifies the strategy that creates the best financial outcome without sacrificing building comfort or performance it automatically deploys that strategy using conventional building management tools (control over HVAC systems control over lighting etc. to optimally align the building’s usage with the rate structure so as to lower the cost of electricity and reduce usage if possible. 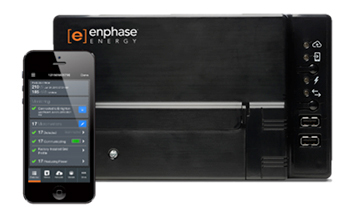 Enphases Envoy-S solution enables is designed to enable more cost effective and reliable installations while creating greater value for solar customers. There are two versions of Envoy-S, one Standard and one Metered. Both have a longer warranty, can be installed outdoors and use integrated WiFi to work with a redesigned Installer Toolkit mobile app for fast and easy system set up. The Envoy-S Metered adds built-in revenue-grade generation metering and optional consumption metering for managing storage and integrating with other home energy solutions. Fast installations and lower cost are the driving factor for the solar industry as a whole, that’s why Enphase integrated the Envoy-S into a purpose-built application called the Enphase AC Combiner Box. The AC Combiner Box is specifically designed to speed up the installation process while reducing material and labor costs. It integrates the Envoy-S metered with a pre-configured set of electrical components to consolidate equipment for an equipment savings of 20 percent. UL listed, the AC Combiner Box ensures not only a safe installation, but also a smooth inspection process, which has proven just as important in saving time and money. With these new metering capabilities in Envoy-S, installers can now provide energy insight for their customers. With enhanced data and engagement, homeowners will be able to see not only the times their systems are producing the most energy, but also the times they use energy the most – and how to take best advantage of their decision to go solar. Climatology requirements for utility-scale and commercial PV power plants are becoming more demanding. Owners and operators are seeking greater accuracy in areas such as irradiance data and analysis as power plants are optimised for maximum performance, yield and reliability. Kipp & Zonen’ smart instruments are intended to complete a full range of solar radiation measurement solutions. A totally ‘smart’ solar and sky radiation monitoring station is now available at all performance levels that include its SMP6, SMP21 and SMP22 pyranometers, the SGR3 and SGR4 pyrgeometers, and the SUV5 total UV radiometer. Kipp & Zonen has now combined the research-grade CMP21 and CMP22 pyranometers with smart features to provide improved performance, in the new SMP21 and SMP22 models. All of its smart instruments have active temperature correction but in the SMP21 and 22 they have been individually optimised to improve measurement accuracy. The smart pyranometers also have faster response time to better match PV requirements. Pyrgeometer detectors produce a ‘net’ output signal that represents the difference between the temperature of the detector and the temperature of the sky. It is necessary to measure the pyrgeometer temperature and apply an equation to calculate the actual downward long-wave far infrared irradiance. The new smart SGR3 and SGR4 pyrgeometers perform this calculation internally, accurately and in real-time, avoiding possible external processing errors. The digital output includes net radiation, downward radiation and temperature. 3megawatt, a software solution provider offering a cutting-edge asset management platform for the renewable energy industry. 3megawatt has developed BluePoint, the largest and fastest growing enterprise-class asset management platform in the industry. BluePoint is designed to automate and control the entire renewable asset management lifecycle. This helps clients to replace manual labour-intensive processes in renewable asset management with an easy-to-implement, easy-to-use and easy-to-maintain application. 3megawatt claim that companies that use BluePoint have significantly improved efficiency, visibility and control over their solar asset management activities. PVGuard Supervision Platform/Performance Advisor, for those investors who self-perform O&M or need a single platform to manage a diverse portfolio of PV assets, the PVGuard supervision software platform monitors and controls plants in real-time, optimizes operations centre processes and provides powerful reporting. Performance Engineering solutions from First Solar Energy Services offer access to a unique engineering experience, innovative technologies, and solar photovoltaic (PV) expertise to maximize plant output and reduce operational expenses. The proprietary PVGuard pinpoints suboptimal aspects of plant performance and make specific, actionable recommendations to improve results. 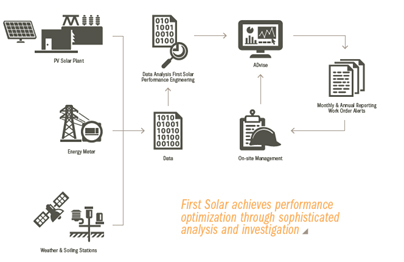 Investors and plant operators may benefit from First Solar's unique performance engineering expertise to optimize their plants, even if they choose to run their own O&M program. Engineers will run in-depth plant performance analysis to predict equipment failures before they occur and to optimize performance of DC arrays. JinkoSolar introduced this year its new dual glass module “Eagle Dual” at PV Expo in Tokyo, Japan. The Eagle Dual is an efficient, durable and framed dual glass module available in 60-cell and 72-cell, offering average outputs of up to 275watts and 320 watt respectively, with a maximum efficiency of 16.54 percent. The Eagle Dual module replaces the standard back sheet with a heat-strengthened glass layer, increasing its resistance to micro-cracking, thus lowering the risk of the so-called “snail-track” generation. The dual glass design reduces module warping, potential induced degradation (PID), light induced degradation (LID), and corrosion from sand, alkali, acid, and salt mist. The Eagle Dual is the only dual glass module to pass the PID free test under 65°C/85 percent RH (relative humidity) for 1000 hours. It has also passed dynamic load test, and the standard 5400Pa and 2400Pa static load test. The new dual glass module provides heavy-duty robustness and durability for harsh environments with high temperatures, humidity, strong wind and heavy snow. It can be widely used in universal installations including water floats, desert utilities, residential and commercial applications. JinkoSolar’s Eagle Dual offers a unique framed design for a dual glass module. With the usual frameless structures, EVA is exposed to damp-heat and UV conditions, which accelerates EVA aging, yellowing and browning, and weld strip oxygenation. EVA also loses adhesion and reacts with water vapor, which leads to corrosion when being exposed to UV and humidity. The Eagle Dual is free of all the above listed risks due to the strengthened framed design. The REC TwinPeak features an innovative design with high panel efficiency and power output, enabling you to get the most out of the space available. Panels from the REC TwinPeak family have a unique “twin” design, which enables them to generate electricity even when they are partially shaded. The advanced technologies packed into the REC TwinPeak provide you with more power output for every square meter of panels installed, compared to standard 60-cell panels on a multicrystalline (poly) platform. With its module TwinPeak, REC Solar EMEA GmbH presents a particularly efficient technology for roof-mounted structures. A low-loss connection is created by first halving cells and then soldering them back together. In addition to PERC (passivated emitter and rear) cells with multicrystalline silicon, the technology deploys further innovative solutions – electrical contact to the cells is established by four instead of the conventional three busbars, while two separated junction boxes serve one terminal. This connection design enables TwinPeak modules to yield ten watts more than standard modules. “Innovative ideas intelligently combined – this is the next logical step for module technology. With an innovative design compared to mainstream 60-cell modules, the Eclipse series, high efficiency solar modules employ innovative module design, and a unique production method. The Eclipse Mono (size is similar to a normal 60-cell module) achieves 19.1 percent solar energy conversion efficiency. The Eclipse Poly (size is similar to a normal 60-cell module) achieves 17.1 percent solar energy conversion efficiency. Seraphim also claim to employ ribbon-free design to solar modules and a unique encapsulation method through which increased efficiency improves reliability and aesthetics and reduces BOM cost. With the overall ribbon-free design the active working area of the module is enlarged so as to convert more electricity from sunlight to the maximum extent. Traditional modules use ribbons to get cells connected which easily inflicts internal loss and countercurrent. This may leads to hot spots damaged modules even breakdown of the whole system. Eclipse employs no ribbon to reduce internal loss and to increase output. The Eclipse’s generates 50 percent calorific effect compared to traditional modules which largely reduces hot spot effect and guarantees continuous electricity generation. Solarworld’ Sunmodule Bisun module is a glass-glass module that comprises 60 bifacial cells based on PERC technology. According to SolarWorld, this ensures a 25 percent increase in energy yield, plus a longer lifespan and added durability is attained because the cells are embedded into the glass and thus protected against external environmental and mechanical influences. Able to utilise incident light on both the front and rear, this double-sided module thus absorbs a higher portion of sunlight, and is particularly suitable for flat roofs and ground-mounted systems where more light is reflected from surrounding surfaces. With higher yield and a longer life, SolarWorld believes that the power generation costs per kWh are significantly lower than standard modules in the field. In recent years, small solar home systems have brought power for the first time to millions of off-grid consumers in sub Saharan Africa, thanks to technological advances in LED lights and mobile payment. The systems store power during the day and provide light, phone charging and other services at night. But all solar home systems have the same problem: on days where there is insufficient sunshine, the systems turn off early at night time, leaving households in darkness. It is difficult for customers to have confidence that the light will work all night – a situation rather like the “range anxiety” often found in electric car users. Azuri Technologies' HomeSmart is the first use of intelligent automation in small solar home systems, designed to provide light every night even in cloudy daytime conditions, and effectively eliminate “solar range anxiety”. HomeSmart first works out a performance target by monitoring the customers' typical power usage. This becomes the performance the system aims to achieve under all conditions. At night, if sufficient stored power is available, the system operates like normal. However, if the stored power is reduced, (because there was insufficient sunshine during the day), the system automatically adjusts the brightness of lights and the rate of phone charging in order to meet the duration of light that the customer is used to. These changes are normally imperceptible to the end user. In this way, HomeSmart brings anxiety-free “permanent light” to consumers for the first time. HomeSmart allows for a much more consistent customer experience, and meets the requirement to deliver simple, accessible power to low-income rural consumers. With HomeSmart™, it is believed that Azuri is the first company to bring such machine-learning processes to the rural off-grid market in Africa. Conventional solar home systems work well in full sun but on cloudy days, most will turn off early at night, leaving households in darkness. This uncertainty is one of the reasons distributed power is often not considered “proper energy”. Customers require certainty that when the light is switched it will work, irrespective of whether the previous day was sunny or cloudy. It is possible to manually dim systems but few people do. The challenge is to have a fully automatic system that delivers just the right quantity of power all through the night. This is what HomeSmart™ does. In a developed nation, intelligent automation may save around 25% of energy costs. Whereas, in a developing nation for off-grid communities it's the difference between being able to see at night and not. The system actively monitors customer usage to determine a typical expected performance. Then, by accurately monitoring the climatic conditions, the system automatically adjusts the light brightness to meet the user's expected lighting duration. This active optimisation of light brightness, battery charging and load conditions ensures the system delivers the best possible match to the customer's typical daily requirement with the available power. For example, if a customer typically uses power morning and evening, the system will automatically slightly dim the lights in the evening on days when there is less sunshine to ensure power is still available in the morning. Azuri's Quad solar home system with the HomeSmart power management is provided on a pay-as-you-go basis and not only brings a new level of quality and intelligence to the rural off-grid market, it also costs a household less than the kerosene and phone charging fees being replaced making it effectively “net free” to the consumer. 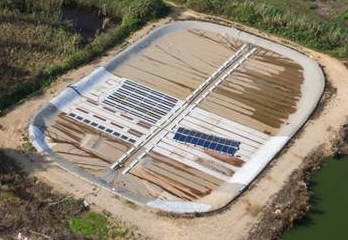 Dynactiv™ Power - with integrated solar technology works as a Solar Floating Cover, which will be deployed on open water reservoirs. Arid and semi-arid regions suffer from low or zero precipitation, coursing water scarcity. The floating cover integrates flexible-thin-film photovoltaic, based on CIGS technology and prevents evaporation from water reservoirs. Dynactiv™ Power provides electric power to be used grid and sub grid in rural areas. Innovation features are the application itself, namely the double use for water & power supply, the lamination of different polymeric materials, which naturally repel each other, the logistic concept, since lanes are shipped coiled which allows high volume shipment in 20, or 40 ft. containers and finally the very easy local installation due to the prefabrication system. Dynactiv™ Power brings water and power utilities into rural regions, which suffer from poor infrastructure. Several segments benefit from the availability of energy and water management. Potable water supply for local urbanization, sanitation improvement, irrigation and dryland watering, livestock and agriculture development, industrialization such as mining, oil & gas exploitation, the establishment of water and wastewater technology such as desalination and waste water disposal, further energy production and storage by the installation on pumping plant and reservoirs. The system supports independent initiatives and self-sufficiency. The more a local communities regulate their own water and power supply, the greater is the independence from upstream administrative organizations. 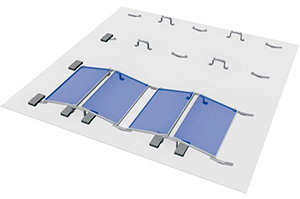 Flexible-thin-film photovoltaic panels were primarily developed for Building Integrated Photovoltaic (BIPV). Dynactiv™ Power pursues the high flexibility and lightweight of the panels in an innovative manner by laminating given back sheet materials onto other polymers, producing “endless” long lanes, which comprise electrical strings according PV manufacturers limiting values. An individual 50 m long lane provides. 5,7 kWp. The overall water reservoir surface can be used as installation area. In general on 10.000 m² 500 kWp can be installed. Due to high radiation in the targeted regions, the specific annual yield reaches usually 1.500 kWh/kWp. Performance ratio is as usual > 82 percent. Integration into state of the art inverter systems is part of the concepts. Dynactiv™ Power fulfills worldwide electrical engineering standards. A fully standalone system was installed by PROINSO in Kepulauan Riau earlier this year. This project is part of the ongoing solar energy developments by the Ministry of Energy and Mineral resource. The system components consisted of 2 units of Sunny tri Power STP 25000TL-30 9 units of Sunny Island SI 8.0H with a multicluster box combined with locally produced monocrystalline PV modules. South & South East Asia account for around 37 percent of the world’s population who have no access to electricity. In many countries the energy infrastructure is under-developed and only a few towns are adequately electrified. While conventional grid extensions have been the predominant mode of electrification in the region this is often not financially viable and there are other technical and logistical implementation barriers. Increasing use of solar photovoltaic technology in the form of off-grid solar systems provides reliable and sustainable energy access to remote communities. This standalone system in Kepulauan Riau is a perfect example of this. With the installation of a stand-alone PV plant in Kepulauan the residents have benefited from a reliable and sustainable electricity source. The PV plant delivers 300 Wh to each household every day. Such amount of energy is able to power 3 pieces of low power LED lamps at night time as well as other small appliances. The PV plant also powers street lighting along the village passage at night time to provide the village with sufficient lighting. 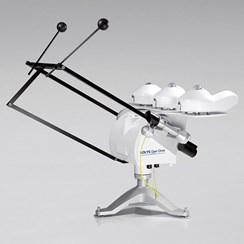 This has had significant positive effects on the resident’s quality of life and well-being. The new communication of Steca products Steca offers an innovative integrated RS485 communication interface the Stecalink bus. This interface allows a charge controller to act as a communication master to exchange measurements and setting information with other devices. In the Stecalink communication system the master collects all relevant data of the other controllers or electricity sensors to record them in the data logger. Optionally it can also calculate the battery‘s state of charge as a percentage (SOC. This ability to link multiple devices and their data creates a connected system which collects and records all information centrally. At the same time it achieves a high level of redundancy and gives maximum flexibility in the selection of batteries. Thanks to the fact that the Stecalink bus also covers the current sensor PA HS400 even non-Steca products can be included in the system communication. Also various innovative battery types can be treated optimally and easily with all components intercommunicating even in large and complex systems. The technological advancement is an optimized system management and therefore increased system lifetime and reduced system cost for the user. The SMA Integrated Storage System is the simplest way to integrate battery storage into a new solar PV system. With the Sunny Boy Smart Energy's built in battery no technical battery knowledge is necessary. SMA's Home Manager and Energy Meter monitor how much energy is being generated, consumed and whether there is any excess going back into the grid. With this information the Home Manager can intelligently instruct the Sunny Boy Smart Energy to store the generation in batteries or alternatively additional loads can be turned on via the SMA Radio Controlled Sockets. All this means the owner of the solar PV system/property can save on electricity bills and maximise their ROI (return on investment). Everyone has different requirements and those requirements change. With a battery you can use more of your own solar energy – and have to purchase less expensive grid electricity. With myreserve it is now also more affordable. Previously, batteries were relatively expensive and were only suitable for solar energy enthusiasts. Launched in 2015, the MyReserve battery has been designed for home storage use, and comprises a user-friendly app that enables homeowners to easily visualize and manage their energy consumption patterns. Every kilowatt hour generated and consumed by your complete SOLARWATT system with PV and MyReserve costs significantly less than power from the grid. This is calculated for a realistic lifespan of 15 years. Depending on your energy consumption level, MyReserve can be adapted to ensure that the overall system is as profitable as possible, thanks to its clever modular design. The sonnenBatterie eco is an energy storage solution that utilizes intelligent energy management software. It is easily adaptable to individual needs. The system is available in a variety of storage capacities and configurations, allowing for extensibility and expansion. sonnenBatterie eco allows you to save money every single day by harvesting energy from your solar PV system or the grid when it is cheapest, and using the stored energy from the battery to power your home when rates are more expensive. The sonnenBatterie easily integrates with new and existing solar systems to manage power for households, both day and night. The sonnenBatterie intelligently controls how energy is used to power homes – even when the grid is down. Robust self-learning software manages solar generation, battery storage and smart plug technology to meet household energy needs.